We warmly welcome you to the largest bar and play club in Bulgaria. A club form a new generation, situated over 1000 square meters accommodating the most exciting entertainments. Separated in three exquisite halls where everyone can find a spot of their own. 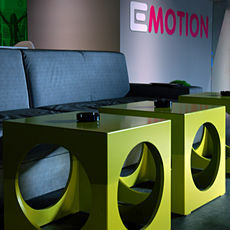 “E-motion club” is spacious and offers 150 seats to its customers. These characteristics make it perfect for large corporative meetings or diverse teambuilding. For such special occasion, we offer catering, interesting games, and fantastic drinks. We offer 12 high definition screens, as well as, on two multimedia screens, allowing you to makes presentations, during these events. We also have enough space for special advertising materials. To all that you may add our flawless audio surround system and our ability to offer you songs from the best performers and DJ’s from Bulgaria. Locted in the main saloon, we have a fully loaded bar, 8 pool „Brunswick” tables, and the queen of snooker, one „Riley Imperial” snooker table. Also we have 4 darts games, for you to test your aim. If you are not a fan neither of pool, snooker or darts, you can play games from monopoly to texas holdem poker, at our touchscreen tables. In the second hall, we have 4 pool tables, each offering a cozy accommodation of a couch and a table, as well as a separate area where you can enjoy our fusion cuisine. While contemplating the play of your friends, or enjoying one of the tasty meals, you could go through one the many books on our shelves. The third part of our club is really unique – the “Chesterfield” hall. It has leather couches, warm and welcoming light, numerous books satisfying any taste, a thick Persian carpet, and of course, a fireplace. 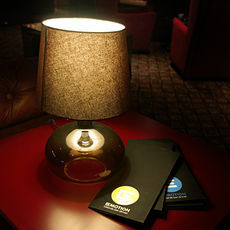 While drinking a glass of years and years ago made whiskey, you can play or watch the game of the high class – snooker. As we claimed, there is a spot for everyone.Those interested in other sports are not forgotten. 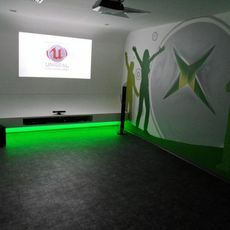 We have a special X-BOX 360 Kinect room. Using 3D sensors, your body is scanned and all your movements are transferred directly into the game, making you a superhero, or the best tennis player in the world.